How much sugar do I want in my coffee, you ask? Just keep pouring until it starts to feel a little creepy. If you see me standing here why do you need to step on my foot? 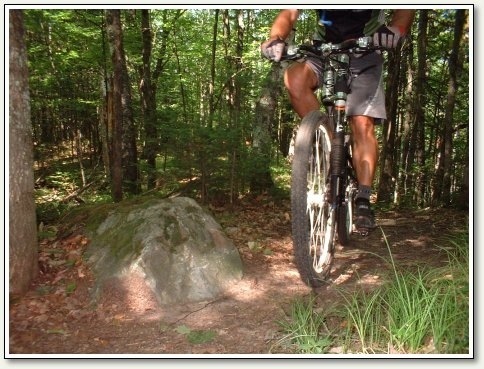 There’s nothing like the sound of katydids humming and gravel crackling under two wheels. or that great game the other day. How do CFL bulb manufacturers get away with saying their bulbs last 7 years? I’ve never had one last 7 weeks. As a self-admitted coffee addict, I thought I had hit the gold mine when I discovered the Keurig single-cup machine. Not only would I now be able to get my Kona fix whenever I wanted, I wouldn’t have to dirty up a bunch of pieces and parts of the traditional drip coffee maker. But low-and-behold, the Keurig has been one-upped. 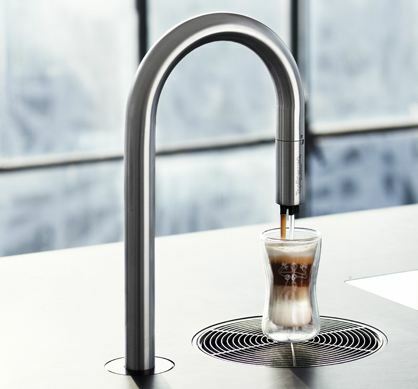 Scanomat has come out with the Top Brewer, an elegant, minimalist, extremist, in-counter coffee tap made of stainless steel and directly hard-piped to the water source. To make matters more compelling, the whole system is controlled via an iPhone app, so that gadget geeks (yes, that’s me also) don’t even have to look up from their Words with Friends game to get their latte on. Is there a downside? Yes, when the caffeine wears off.